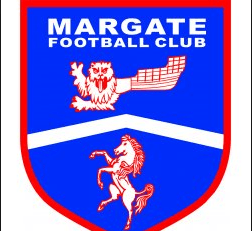 Margate Football Club have announced that Jay Saunders has joined the club as First Team Manager. Saunders returns to Hartsdown Park on an initial contract until the end of the season. “I am very happy we have been able to bring Jay back to the club. I’m confident he will have a positive impact on the team in the coming weeks”. As a player, Saunders joined the Gate in 1998 at 19-years-old and went on to make over 350 appearances during a ten-year period. During an illustrious career across the county and beyond, Jay also played for Gravesend & Northfleet, Lewes, Ebbsfleet and Maidstone United. It was at Maidstone that Jay began his managerial career. During his time as The Stones manager, Jay led the club to three promotions climbing from the Isthmian League to the National League. Saunders said “I’m delighted to be back with The Gate, I believe I can help the club climb the table as we enter the business end of the season. I can’t wait to start working with Mike and the players” . Saunders will be at training on Thursday to meet the players and will be in dugout on Saturday as Margate travel to Tonbridge in the Bostik League. Earlier in the day the club announced that Steve Brown had left his post as joint manager but this news is certainly going to cheer the Margate fans up! The Hartsdown Park club are struggling in the bottom five of the Bostik Premier Division table with seven wins and nine draws from their 28 league matches.